When buying any best bike helmets, it is important to consider a few factors first. This way, the choices available will be narrowed down significantly right off the bat. The Giro Savant Road Bike Helmet is one of the most exquisitely designed helmets that one can use on any type of terrain. It will give the user a multitude of advantages and benefits as soon as they buy it off the store. Below are some of the advantages discussed in more detail. This particular product definitely provides comfort above anything else. It is designed specifically to accommodate more exhaust vents which will allow optimal airflow for the user. There are about 25 standard size vents in the helmet. Additionally, it is measured just right in terms of size. It is not too big and not too small for a standard rider’s head size. It makes use of the Roc Loc 5 retention system that allows for a more comfortable fit no matter what the head size. It also uses an in-mold technology that bonds the polycarbonate outer shell of the helmet to the EPS foam. This is subsequently adds more weight and durability to the helmet itself. The straps are wide enough to use comfortably. It will let the helmet sit on the rider’s head without additional pain or worry of dislodgement. Because of the standard features mentioned above, this particular product will give users optimal comfort without having to spend too much money. It allows the rider to experience how it is to ride a bike without experiencing discomfort because of lack of oxygen along the way. The comfort and significant amount of air provided by the helmet is comparable to those of similar designs and high-end quality. Additionally, the users will feel safe with this particular brand because of the internal foams present inside the helmet. The bonded EPS and outer shell will give massive amounts of protection to the rider. It is also extremely stylish and will not leave the rider feeling out of place because of the outdated design. The aforementioned straps are too long which may prove to be dangerous especially during rides on rough roads. Because of the long straps, the helmet might easily fall off after just a few minutes of rigorous movement. 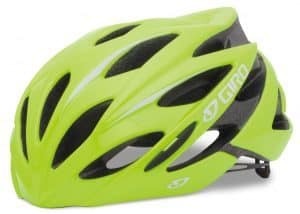 Overall, the Giro Savant Road Bike Helmet is worth looking at. It will give the riders comfort and style at the same time. Of course, if riders are looking for the safest helmet design, this particular product will be the answer because of the additional weight and toughness provided by the polycarbonate shell. Comfort and safety are two of the foremost factors that users tend to consider when buying helmets on the market. However these are not the only considerations to make. There are the design, function and longevity of the said products. Fortunately, products like the high-performance airflow helmets are available for those with meticulous taste in riding gear. Here are some of the reasons why order cycle riding aficionados tend to flock to the market for these helmets. With these particular helmets in mind, users will have the best of both worlds when it comes to usability and style. It has a strong matte finish that will provide extreme protection for the head apart from the sheer size of the helmet itself. Furthermore, the oval shaped accessory will give the head the proper angles for support. This will provide real comfort during long motorcycle rides. It also has an integrated, reinforced skeleton that solidifies construction even more. Because of this, it will not easily break during impact and could subsequently protect the head from extreme trauma in case of accidents. Just like most modern helmets of today, this particular helmet design uses in-mold technology that allows the helmet to take the shape of the head without difficulty. This provides even more support for the user. It also has a multitude of vents (22) that allows for proper cooling down during long travels. It promotes the healthiest amount of airflow despite the cumbersome design. The significantly large size of the vents ensures the aforementioned proper airflow as well. It is large enough to protect the user, but slim enough to provide the right style and function. It also makes use of high end shock absorption technology through the internal foaming and reinforced shell design that could protect the head from severe trauma down the line. It also has a lifetime manufacturer warranty. It would be best to have it checked for damage regularly. Because of the strength of the construction, small cracks in the helmet may not be easily detectable which can prove to be hazardous to any rider’s health eventually. Aside from those already mentioned, this particular product is also easy to maintain. It comes with washable pads that save time and money on maintenance for sure. This is the reason why it comes highly recommended of all other high-end helmets in the market. As a rider, one should always look for comfort in both design and style from the many available helmets in the market. This is what the Kask Mojito Helmet provides and much more. This product is extremely beneficial in terms of usability despite the seemingly simplistic and classic construction. It is well ventilated. For an older helmet design, it gives modern helmet ventilation systems a run for their money. Currently, it has a little more than 26 ventilation holes available for stronger airflow. It offers professional leather-style protection for the head which tends to leave a physical imprint on to the top of the scalp. This means that the headgear fits snugly and will not easily fall during travels. This particular helmet design does not hamper peripheral vision over time. It will free the rider from unwanted nuisance during the bike ride without question. Riders will be able to fit a helmet effectively because of the dial at the back of the headgear itself. At a turn of this dial, the riders will be able to adjust helmet tightness accordingly. This particular product is comfortable to use and extremely lightweight. 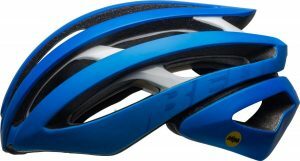 It is lined with sufficient padding to help protect the head from trauma due to possible accidents. For heavy duty helmet construction and materials, this product is extremely easy to use and transport. Users will not have a hard time understanding how the inner mechanism for the dials work to gain more comfort down the line. This helmet also has easy to adjust chin straps that provide additional comfort for riders all over the country. The outer shell is definitely made to withstand extreme external force especially during prolonged use. The padding while particularly comfortable and protective have limitations when it comes to sweat absorption. During hot days, users would have to squeeze the sweat out of the helmet regularly to free up some space for additional water retention. 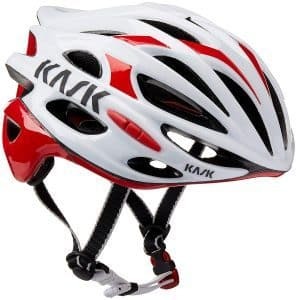 The Kask Mojito is one of the most useful among the classically designed helmets in the modern era of bike riding. It comes highly recommended not only because of the safety and comfort that it will provide the riders. It also gives respect to the past in terms of design while providing more comfort through the use of modern technology. This is why one will never go wrong with this particular product. Your head is an important part of your body. It houses your brain which is your control center. You want to do everything you can to protect it, right? So, make sure that you are using the best possible helmet you can while you are out riding your bike. This Lazer Helium Helmet with MIPS is a top of the line helmet that will provide the best protection available for your precious cargo up top while providing a superior fit and quality that is unrivaled. The MIPS is going to lower the chances of your getting a concussion if you take a fall while riding. Super lightweight, so while it will provide the ultimate protection, it will feel like you aren’t even wearing it! Internal architecture wraps around and fully and comfortably supports your head. This is one of the more expensive helmets available on the market, so it is geared toward the more serious cyclist. This helmet is going to provide excellent protection while being extremely lightweight and providing superior airflow. It boasts among the newest technology on the market for bicycling helmets and is going to provide superior support and protection for the precious cargo you are carrying. It does come with a heftier price tag than some of its competitors, but let’s face it. You only have one head and brain. Shouldn’t you be doing everything you can to make sure that it is protected? 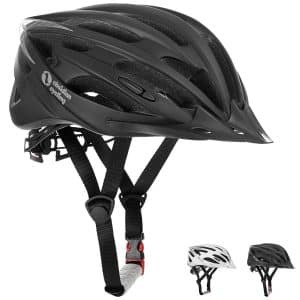 If you are going to get into a bicycle crash or fall off your bike while riding, you want to make sure that what you are wearing up top there is going to keep your head and brain from being seriously injured. With the RBS and MIPS technology both in place here, this is going to give you the best in protection and security. Isn’t that what you want to have protecting your head? You spend a lot of time on your bicycle. You do want to make sure that your head is protected, right? But there are so many options out there for helmets. How do you know which one is going to be the best one for your needs? Well, in this guide, you will learn about the Specialized Echelon II Helmet and you will be able to make an informed decision about whether this is the helmet for you! Allows for quick adjustments on the go. You want the best for your head, don’t you? After all, you spend a lot of time on your bicycle. Your helmet is one of your most worn and used accessories, and the one that you should be paying the most attention to. More than just a fashion statement, your helmet is going to protect you and keep you safe. 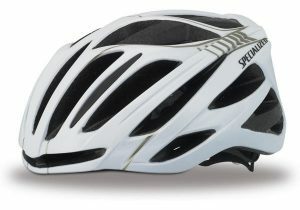 You want to have the best possible helmet you can get, and the Specialized Echelon II Helmet could be that for you. With superior adjustability and a unique cooling system, this helmet is going to keep you safe and comfortable. With the fact that it complies with all safety standards that means that you can be sure that this helmet has been quality tested and held to some of the highest standards available. This is not your everyday bike helmet you can pick up at a big box store in your neighborhood that is for sure. While it is one of the more expensive helmets available on the market, the features included make that price tag well worth the investment. And anything that is going to protect your head and brain is an investment worth making, wouldn’t you agree? No matter what type of cycling you are doing, Bell is a brand that has long been associated with quality biking gear. And the Stratus MIPS-equipped helmet is no exception. If you are spending a lot of time riding and traveling long distances on your bicycle, you want the best forms of protection available to you. And helmets with MIPS technology are going to provide you with that safety and security you have come to expect from Bell. Sunglass guides allow for you to wear eyewear while riding, keeping your eyes protected from the sun and from objects that might get into your eyes and impede your vision, potentially creating a dangerous situation. Bell is a widely available and popular brand known for its quality gear for cyclists around the world. They do their best to meld a quality product with a price that is affordable for more people. This helmet will provide you with the latest in safety features and technology. The MIPS system is going to provide greater protection for your head in the case of an impact than any system before. In terms of comfort, this helmet is highly adjustable and customizable to ensure that it fits you well and comfortably so that you do not feel as though it is a burden to wear. It is lightweight and easy to adjust, even when you need to make last minute, tiny adjustments on the go. Overall, this is a quality product that should meet the needs of mountain bikers, everyday cyclists, and long-distance road cyclists alike. It is definitely worth a second look when considering your next helmet. Below are some important criteria when it comes to buying a working full face helmet for mountain bikes. With these criteria, motorcycle riders may hopefully come up with the best options at reasonable prices without ultimately sacrificing the quality of the product in the end. The first thing that needs to be considered when buying full face helmets is the official safety standards that come with the helmet design. According to the law, every helmet sold from March, 1999 onwards should be able to meet the Consumer Product Safety Commission standards. There are other safety commissions that have helmet standards as well. However, the U.S. Consumer Product Safety Commission standards are accepted nationwide. Here are some of the protocols that the CPSC applies for a standard size helmet. The helmet should have the capability to be securely fastened into the head form of the person buying it. This head form will be able to measure g-force on impact after being thrown into an anvil several times. The standard g-force amount for safety is about 300 to 400 G’s. 300 G’s of force will produce unconsciousness with possible to minimal neurological damage. Permanent head injury may occur upon reaching 400 G’s of significant head trauma. With these statistics, it is important that consumers are able to look at pertinent and clear product reviews to make sure that the helmet they would consider purchasing in the future could give them optimal cranial protection. Effective customer reviews will also be able to tell other consumers what the companies may withhold in terms of information. Always make sure to try everything on before purchasing a full face helmet. The right fit is always an important factor to consider. It is a big no-no to avail of secondhand helmets. This is because the previous owner may not be aware of any underlying damage that the helmet in question already has. In case of damage identification, it would be best to replace the helmet that has visible cracks to prevent accidents down the line. It also is advisable to replace helmets once the rider has gotten into an accident. The impact could have created smaller cracks that are essentially invisible to the naked eye. It would also help to know the terrain that the riders frequent. This way, it would be easier to find the right helmet for the job. Lastly, do not be afraid to spend for the right kind of helmet design. It is always better to be safe than sorry. The following are significant criteria to remember when availing a full face helmet. When speaking about helmets, having the perfect fit will speak volumes about safety. While this may be true, it is up to the customer to determine which helmet would best fit his or her head. Here are some regulations and rules to apply when it comes to determining both half shell and full face mountain bike helmet fit. The interior design of the helmet should be able to cover the entirety of the head. Sitting level should be just above the brow. It should not interfere with the line of vision. The ring system should have enough tension that the scalp moves with the helmet itself. Depending on the price, the helmets should include working adjustments for fine tuning the fit. Additionally, the straps should be tight enough so that the helmet moves not more than an inch from head level. Straps should be able to meet just below the ear as well. Riders should also check the buckle strength when fastened. If it happens to move just 1 inch from the scalp, it may not be the best fit for the rider’s head. Buyers should make sure that there is a sufficient number of ventilation ports placed within the helmet. Through these ports, cooling effects will ensue even after being worn for long periods of time. The cooling system within the helmet should be a paramount concern as well as its ability to protect the head. It would be best to consult the manufacturer for any questions regarding the helmet design in terms of ventilation. At a glance, look for helmets that have strategically placed ports for ventilation. Larger ports may be more dangerous because it requires a much denser foam and reinforcement. This will provide more g-force to the head upon impact which can be extremely dangerous. The inner pads should be able to mold itself onto the shape of the head. If the helmet is properly-fitted, it should feel snug when worn initially. The rider should not worry because the padding will soon conform to the shape of the face after just a few hours. In addition, users will have to make sure that there are no spaces between the helmet and the head. The helmet should be tightly fit, but should be comfortable at the same time. The pads should also feel firm against the cheeks. Because of the pads, the rider should not be able to speak clearly upon wearing the helmet. As a last test, the scalp should be able to move with the helmet despite regular chin bar movement. If the riders would use a neck brace along with a helmet, it is best to make sure that the former would be compatible with the latter. A standard helmet should have Expanded Polystyrene as the lining. This will help spread the energy of impact by deforming the helmet. It will also slow down the collision significantly and prevent permanent brain damage. Additionally, helmets should also have plastic shells glued to the EPS. This will provide additional protection down the line. These are just some of the considerations that consumers need to make when trying to avail of working full face mountain bike helmets. 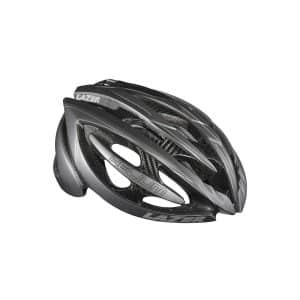 Above you have six best bike helmets; you can choose one best based on your needs. With these pieces of information, people will definitely be able to make the right decision when it comes to their headgear in the days to come.